Home Gear Hardware Moog news Moog announces the Sirin synthesiser, their new limited-production analog synthesizer module. Moog announces the Sirin synthesiser, their new limited-production analog synthesizer module. For those who love the limited editions, the authentic products, also to have something built just for a few ones in the planet, here i have some news. 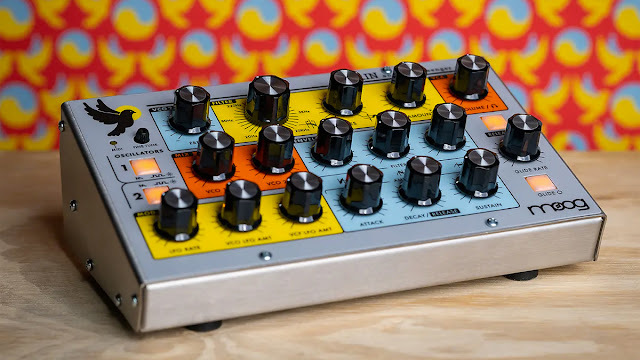 Moog is releasing a monophonic analogue synthesiser called Sirin, that is basically a limited-production analog synthesizer module based on the legendary Moog Taurus Bass sound engine - a pedal-operated bass synth originally built back in the mid-'70s-, and created in celebration of the 2019 Moog House of Electronicus experience in Los Angeles, California. The two oscillators, which carry square and saw waveforms and also support hard sync, pass through a classic Moog four-pole ladder filter with the sound shaped later by a pair of ADSR envelopes and a LFO, which holds multiple waveshapes such as sample & hold, ramp and saw. Sirin can store 128 presets and Moog says there is "extensive hidden functionality" embedded in the synth. It's available now for €544. 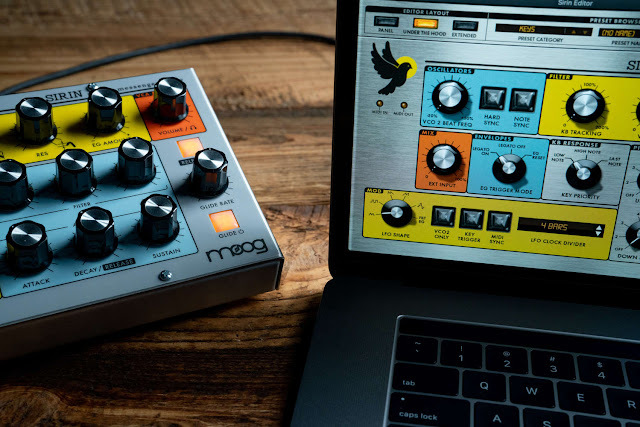 You may still find Sirin's at the House of Electronicus Pop-up in L.A. or connecting with your local Moog Dealer to order Sirin worldwide starting February 1st. Sirin is a new instrument for creative expression that oscillates in the higher octaves of experience. Secured in a brushed stainless steel enclosure with a retro-inspired color palette, Sirin foretells of future joys and transports interdimensional energy with ease. An intoxicating conjuror of both quintessential lead and menacing Moog bass, Sirin’s fully-recallable analog sound engine originates with two analog Taurus Bass oscillators modified to soar up to octaves above the boundaries of its mythical ancestors. Sirin is the first instrument in Moog’s Taurus family of bass synthesizers capable of generating pitches above middle C, inviting searing, soft, and even clangorous lead sounds with ease. Only 2500 Sirin Analog Messengers Of Joy will be produced worldwide.